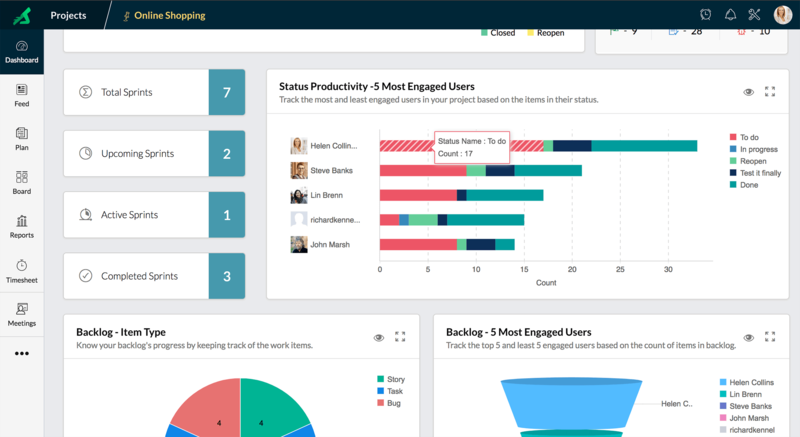 Dashboard provides a quick look at all your sprint and project data, so you can keep an eye on the big picture even as you work on each sprint. 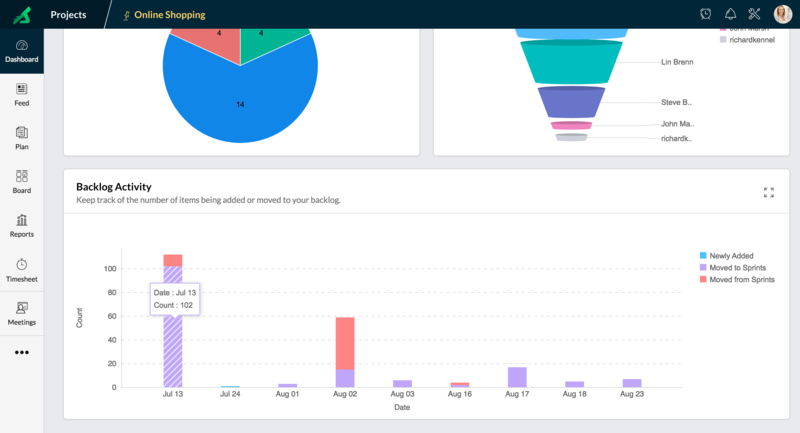 The Dashboard in Zoho Sprints shows you all the key metrics related to your project in one easy-to-read window. 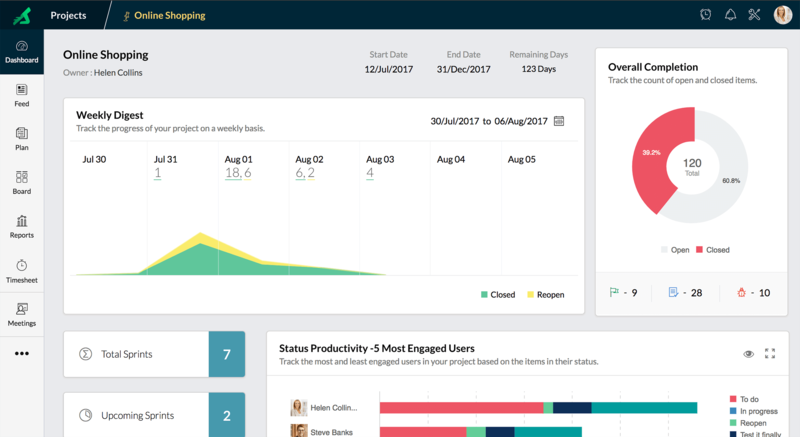 This makes future planning, tracking, and finding important patterns easier, while tracking the project as a whole. The weekly digest provides a quick summary of the past week with a graph of work items as they were closed or reopened. 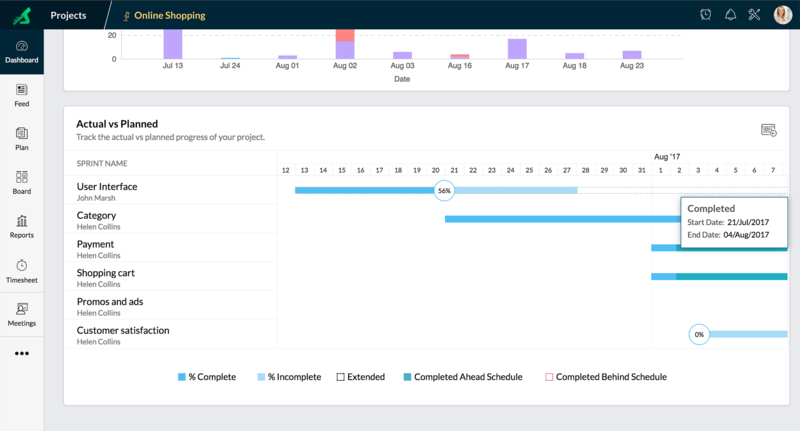 The overall completion chart displays every story, task, and bug that has been closed next to the total work items, helping you chart your team's progress. You can track the most- and least-engaged team members using the Status Productivity section, where you'll receive a status breakdown for each of their visible work items. 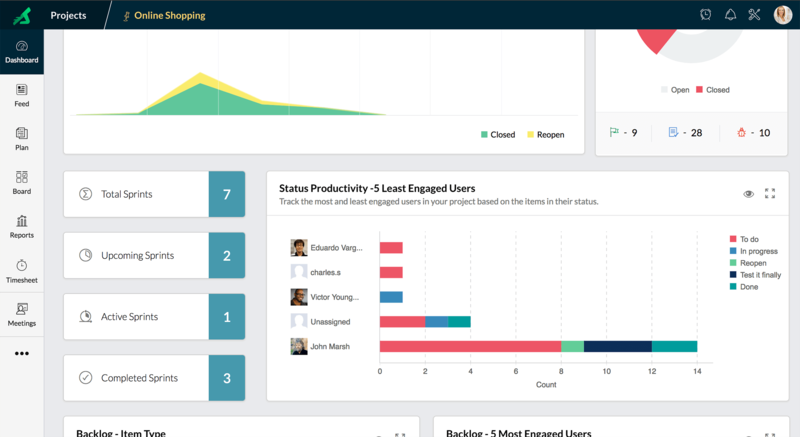 This can help you identify engagement patterns and distribute your teams' work more efficiently. Backlog metrics are crucial planning tools for improving your resource allocation. The Item Type graph lets you see a task breakdown, while stories and bugs in the backlog let you know how many big-ticket items await the team. 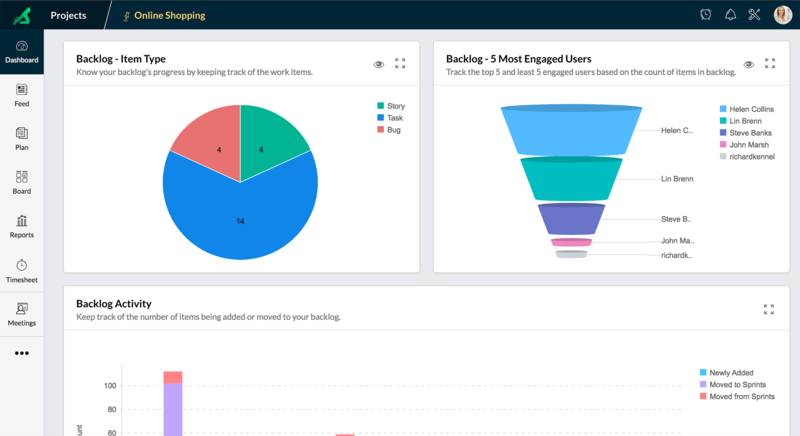 The Most Engaged Users section tells you who has the most backlogged items, so you can effectively assign sprint tasks and avoid burnouts. Backlog Activity lets you track items added or moved from it. The Actual vs Planned graph is calendar view of a sprints' completion. You can see whether your sprints are on-track, and plan future sprints better.